...is seldom heard by many during the business hours of the day. The roar and din of traffic in the streets have a strange power to deaden its sound and prevent men hearing it. But when the daily work is over, the desks are locked, and doors are closed, and books are put away, and quiet reigns in the great city, the case is altered. As the old bell strikes eleven, and twelve, and one, and two, and three at night, thousands hear it who never heard it during the day. And so I hope it will be with many a one in the matter of his soul. Now, while in health and strength, in the hurry and whirl of business, I fear the voice of your conscience is often stifled and you cannot hear it But the day may come when the great bell of conscience will make itself heard, whether you like it or not. Laid aside in quietness, and obliged by illness to sit still, you may be forced to look within and consider your own soul’s concerns. CHRIST IN HIS LIFE ON EARTH. Or, Blinding Glimpses of Christ Through the Illumination of the Gospels. The Sun of Righteousness has arisen with healing on His wings. Wherever the Light of Christ has shone it has brought a higher ideal of human life to the individual, a higher moral law than was known before. The Gospel of Christ is the only religion which has a ray of hope for the lost, the sinful, the oppressed and the weak, or a message for the woman and the little child. The Christ who, for nineteen centuries,has won the victory over sin and darkness and moral degradation is the Christ of the New Testament. Except the bare fact of His existence, all we know of Him is from the Bible. It is vain for men to say to-day, we believe in Christ, but reject the Bible. It is the preaching of Christ as He is revealed in the Bible –“God incarnate, perfect Man, Saviour by the way of the Cross, and Lord by the resurrection” –that has produced this transformation in the hearts and lives of men (Campbell Morgan). In the Gospel of Christ according to Matthew, Mark, Luke and John, we see God’s purpose in giving us a fourfold picture of Him, which brings out the majesty of His person and work. A statue has this advantage over a picture, that it enables us to see the one represented from all sides. So this fourfold presentation of Christ exhibits from each point of view some fresh beauty in Him. The four evangelists have been compared with the four cherubim of Ezekiel and Revelation. Matthew shows us our Lord in His kingly aspect as the Lion of the Tribe of Judah; Mark exhibits Him as the faithful Servant of Jehovah, the ox, ready alike for service or for sacrifice; Luke presents Him as the Son of Man, full of human sympathy, as the emblem of the man suggests; whereas, with John, we see Him as the Son of God, the eagle,soaring into the heavenly blue with a majesty that transcends all our thought and imagination. In this Gospel we see the royal majesty of our heavenly King. The Gospel by Matthew was written for the Jews. It sets forth the Law, and refers constantly to the Old Testament Scriptures, showing how both have been fulfilled by Christ. This Gospel opens thus: “The book of the generations of Jesus Christ,the Son of David, the Son of Abraham” (1:1). This shows His covenant position as Son of Abraham, and His royal position as Son of David. “David the King,” in ver. 6, emphasizes our Lord’s position as David’s royal Heir. His wondrous divinity is announced in His birth through the power of the Holy Ghost, in His personality as Savior (Jesus), and in His absolute Godhead as revealed in the name Emmanuel –God with us. Matthew alone recounts the visit of the Magi. The whole world at this time was expecting the advent of some Great One. “Where is He that is born King of the Jews? ” Their adoration foreshadowed His universal dominion. 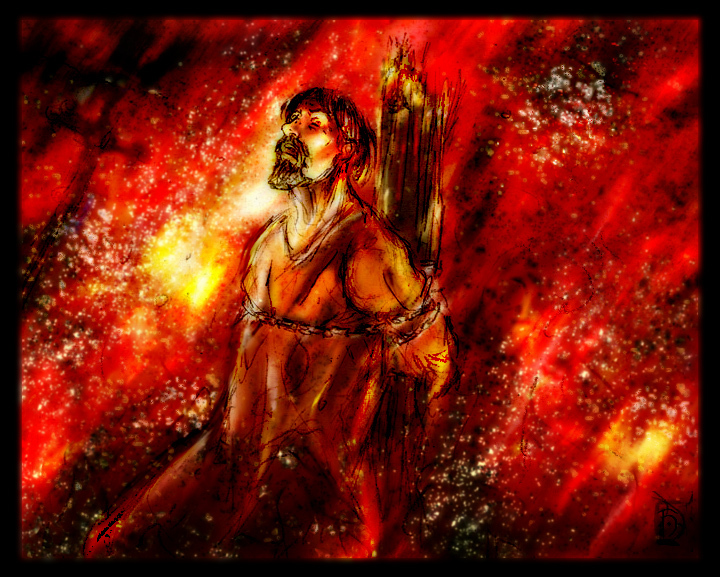 Matthew alone tells us how Herod, the usurper of David’s sovereignty, sought to slay the heir. In this Gospel John the Baptist introduces the Lord Jesus as the mighty Judge, Who shall purge His floor with tremendous judgment. Matthew’s account of the temptation, instead of following the chronological order of Luke, gives the account of the temptation on the mountain last, as if to emphasize it. Our Lord is the world’s King. Satan has usurped the dominion; he offers to surrender it on one condition. It means escape from Calvary for the Savior, and escape from centuries of suffering for His Church. But we see the victory of the King. “From that time Jesus began to preach,and to say. Repent, for the Kingdom of Heaven is at hand.” The word Kingdom occurs fifty-five times in Matthew; thirty-five times it is ” the Kingdom of Heaven,” an expression found nowhere else in the Gospels. John uses the word Kingdom only five times. The Sermon on the Mount (chapters 5-7) gives us the Laws of the Kingdom. We have the seven parables of the Kingdom in chapter 8, each beginning with “The Kingdom of Heaven is like, “except that of the Sower, where we have the word Kingdom in verse IL Almost all our Lord’s parables in Matthew begin thus, whereas in Luke it is nearly always “A certain man.” Compare also the two accounts of the Marriage Supper. It is Matthew who tells us that the host was a King. The parables of the Day of Judgment set forth especially the royal and power of Christ. In common with Mark and Luke, Matthew tells us of the unveiled glory of the King in the transfiguration. He adds this touch, ” His face did shine as the sun,” and these words, ” in whom I am well pleased,” showing how perfectly our Lord fulfilled God’s Law. In his account of the Resurrection he tells of the great earthquake, the angel whose face was like lightning, for fear of whom the keepers did shake and become as dead men. Mark gives us the picture of Christ as the willing Servant, yielding active, prompt obedience at every moment of His life. This Gospel is believed to have been written in Italy for the Romans, and that Mark received his information from Peter. Peter’s words to Cornelius form a perfect summary of this book: “God anointed Jesus of Nazareth with the Holy Ghost, and with power; who went about doing good,and healing all that were oppressed of the devil: for God was with Him” (Acts. 10:38). Instead of opening with any record of our Lord’s birth or early years, Mark begins at once with His ministry. His introduction again supplies the key to the book: “The beginning of the Gospel of Jesus Christ, the Son of God.”The beginning, but not the end,” eternity, it may be, we shall never come to the end of the Gospel of Jesus Christ, the Son of God. One half of this Gospel is occupied with narrative, and only half with our Lord’s utterances; while in Matthew the latter occupy three-fourths, in Luke two-thirds, and in John five-sixths. The words immediately, forthwith, anon, and straightway meet us constantly. The lesson for us is a like prompt obedience. Matthew and Luke tell us that our Lord was “led” of the Spirit into the wilderness; but Mark’s words are, “The Spirit drives Him into the wilderness.” From him too we learn that the temptation lasted the whole of the forty days, and that the Lord was “with the wild beasts.” The four parables of chapter 4 tell us the working of the Gospel. The parable of the Lord’s return is given only by Mark, and here the Gospel of service is plainly emphasized. Everywhere Mark gives us the idea of stress of service. Multitudes crowd to hear Christ. The whole city was gathered to the door; so many came and went at times that He could not even eat, or could not enter into the city; men from all the cities ran together on foot to see Him; wherever He went they placed the sick before Him, and as many as touched Him were made whole. Though prompt action ever characterized His ministry He was never hurried in His dealing with those in need. Mark alone tells in two cases of healing, that our Lord took the deaf man and the blind man apart with Himself when He healed them. He alone tells us that He took the little children up in His arms when He blessed them. These little graphic details are a feature of this Gospel, adding some fresh touch to almost every narrative. Peter’s quick eye had evidently noted them. In each Gospel we have the record of the great Sacrifice by which sin is put away. But when our Lord rises from the grave and gives His final commission to His disciples, there is a marked contrast here to the record in Matthew; it rings with the urgency of service: not a corner of the world is to be left unvisited, not a soul to be left out. This is the Gospel for the sinner. It brings out the compassionate love of Christ in becoming Man to save us. It was probably written for the Greeks. It traces our Lord’s descent back to Adam, and shows Him as the Son of Man and the Son of God, the Savior for the whole human race. The “Son of the Highest,” and the Son of the lowly virgin. Instead of the visit of the Magi, Luke tells us of the humble shepherds to whom was announced the tidings of peace to all people,”to you is born a Savior,”and there, among the cattle, the Savior’s first guests would feel themselves at home. “Mine eyes have seen Thy Salvation,”said the aged Simeon, as he took the Holy Child in his arms. And Anna “spake of Him to all that looked for Redemption in Israel.” Here, in His baptism,we see Him taking His place among the multitudes; Luke omits the words with which Matthew proclaimed Him as the coming Judge. Again, instead of the words, ” Repent, for the Kingdom of Heaven is at hand,” we find Him beginning His ministry by taking His place in the synagogue at Nazareth, and applying to Himself the gracious words of Isaiah which proclaimed His ministry of mercy to the broken-hearted. Luke records his compassion to the Widow of Nain, and the depths of His mercy to the woman that was a sinner; the story of Zaccheus with the murmuring of the Pharisees because He had gone to be a guest with a man which was a sinner. The parables of this Gospel bring out in the same way His compassion and His saving power. They generally begin “a certain man.” Such are the Good Samaritan, the Pharisee and the Publican, the Importunate Widow, and, above all, the three parables of the central chapter, the fifteenth, the Lost Sheep, the Lost Coin,and the Lost Son, in which His joy over the lost found is so marvelously represented. In the parable of the Great Supper it is Luke who records the Lord’s command to go out into the highways and hedges and compel them to come in. And the words “Yet there is room” has been the Gospel motto through all the ages. Luke alone tells us that when our Lord beheld the city He wept over it; of the bloody sweat in Gethsemane; of the Lord showing mercy to the dying thief even in His agony, and gathering from the very Cross the first-fruits of His sufferings. Luke alone tells of the walk to Emmaus, he himself, very possibly, being one of the two disciples. He tells of our Lord deigning to eat the piece of broiled fish and of the honey-comb, in order to show us His perfect humanity even after His resurrection; of His leading them out as far as to Bethany, and that, as He lifted up His hands and blessed them, He was parted from them. John wrote to reveal the Son of God as our Divine Friend. The first chapter shows Him to us as “the only-begotten Son of God, which is in the bosom of the Father,” One of the closing chapters shows us “the disciple whom Jesus loved” “lying on Jesus’ breast.” He came right from the heart of God, right to the heart of man. “I bare you on eagles’ wings, and brought you to Myself” (Exod.19:4). The object of this Gospel is to bear us as upon the eagle’s wings of our Divine Savior, right into the presence of the Father Himself. ” Father, I will that they also whom Thou hast given Me be with Me where I am; that they may behold My glory,which Thou hast given Me: for Thou lovedst Me before the foundation of the world ” (17:24). These words in the seventeenth chapter take us back to the introduction to this Gospel, “In the beginning was the Word.” Our thoughts are turned back to the first words of the Bible, and unite the great work of creation with the glorious revelation of the Son of God. “And the Word was God. All things were made by Him, and without Him was not anything made that was made.” Jesus is the Creator; He meets the need of all created life; He meets the need of man by giving Himself to be each man’s greatest, nearest Friend (Rev. John Urquhart). In accordance with this,one of the chief features of John’s Gospel is our Lord’s personal interviews with individuals. The first disciples in chapter 1, Nicodemus, the Woman of Samaria, and others right through the book, to the very end, where He revealed Himself to Thomas, and said to Peter, “Lovest thou Me?” In all these He disclosed Himself as the Friend of the soul. The close union between Christ and the Church is set forth in this Gospel under the figure of the Bridegroom(3:25-29), of the Vine and the branches (15), of partaking of His flesh and blood (6:48-57), and of the living water. We see His friendship with the beloved disciple, and in the home at Bethany. It comes out again in His last discourse with His disciples, which is introduced by the words, “Having loved His own which were in the world. He loved them unto the end.” ” Greater love hath no man than this, that a man lay down his life for his friends. Ye are My friends, if ye do whatsoever I command you. 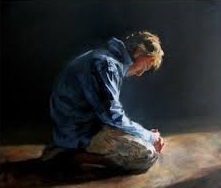 I have called you friends.” It is revealed in His prayer, where His desire is in all things their oneness with Himself. The love of Christ is limitless to each soul. The ” I AM ” in this Gospel shows how perfectly He meets the world’s need. I AM He, the Christ, 4:26, meets our need of a Divine Savior,who is also human. I AM the Bread of Life, 6:35, meets our soul-hunger. I AM the Light of the World, 8:12, meets our darkness. I AM the Door of the Sheep, 10:7, meets our homelessness. I AM the Good Shepherd, 10:11, meets our helplessness. I AM the Resurrection and the Life, 11:25, meets our death. I AM your Master and Lord, 13:13, meets our dependence. I AM the Way, the Truth,and the Life,xiv. 6, meets our need of salvation. I AM the True Vine, 15:1, meets our need of union with Himself. I AM Jesus of Nazareth, 18:5, meets our need of a human Savior, Who is also Divine. These words I AM (ego eimi) identified our Lord with the covenant name of Jehovah in the Old Testament. The Jews recognized that He claimed deity in applying it thus emphatically to Himself, for it was when He said,” Before Abraham was, I AM,” they took up stones to stone Him, considering it blasphemy, which by the law was punishable by death. John wrote his Gospel that men “might believe that Jesus is the Christ, the Son of God; and that believing they might have life through His name” (20:31). Accordingly, we find the word ” believe ” occurring nearly a hundred times through this Gospel, and the word ” witness ” nearly fifty times. For, beginning with the Baptist (1:6, 7), John called in one witness after another to give evidence in proving the case. See especially chapter 5:40. Thank you, an excellent, well written post! Lydia fills a remarkable place in the history of the expansion of the church of Jesus Christ. Jesus told His followers to proclaim the Gospel to the whole world. In the Old Testament, God had been mostly dealing with His Jewish children. But now, God wants His story of love and salvation to go to everyone, even Gentiles. 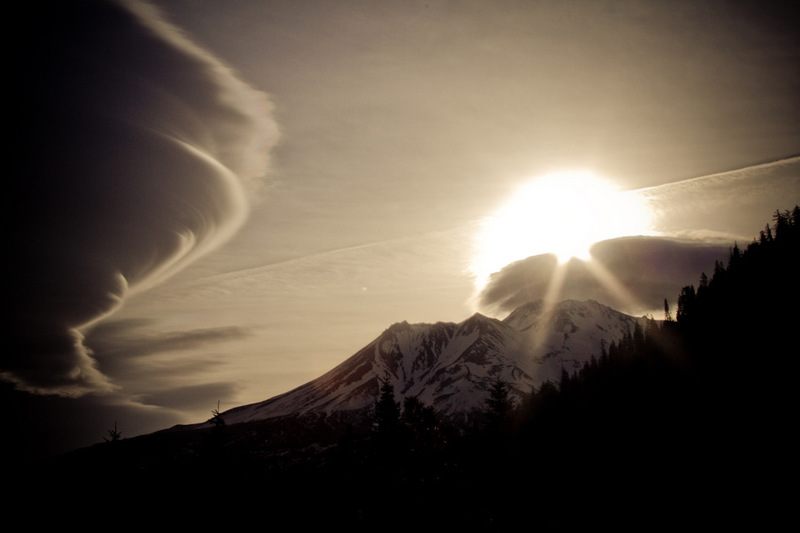 God’s dealing with Lydia is just one story that illustrates God’s plan for the ages. …and the flocks drank there together. 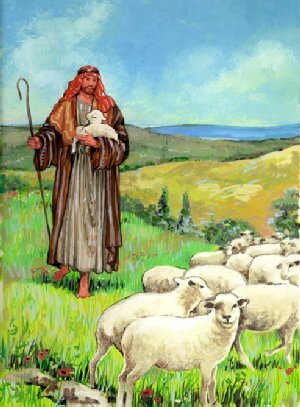 At length one of the shepherds arose and called out “Men-ah, men-ah” (which is the Arabic word for ”follow me”). His “sheep came out of the common herd, and followed him up the hillside. Then the next shepherd did the same, and called out “Men-ah, men-ah,” and his sheep went away with him, and the man did not even stop to count them. 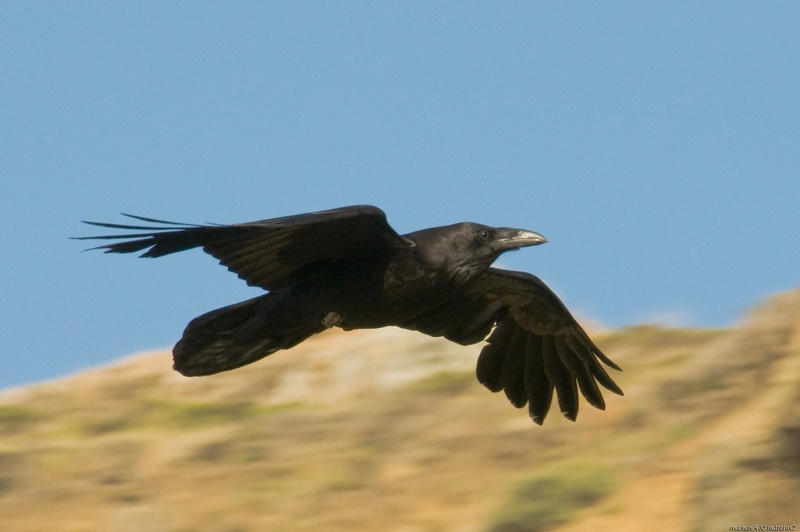 When the Ravens Steal the Seed: A False Theology about God. False theology makes God’s foreknowledge of our believing the cause of His election to salvation; whereas, God’s election is the cause, and our believing in Christ is the effect. “When the solemn and blessed subject of divine foreordination is expounded, when God’s eternal choice of certain ones to be conformed to the image of His Son is set forth, the enemy sends along some man to argue that election is based upon the foreknowledge of God, and this ‘foreknowledge’ is interpreted to mean that God foresaw certain ones would be more pliable than others, that they would respond more readily to the strivings of the Spirit, and that because God knew they would believe, He accordingly, predestinated them unto salvation. But such a statement is radically wrong. It repudiates the truth of total depravity, for it argues that there is something good in some men. It takes away the independency of God, for it makes His decrees rest upon what He discovers in the creature. It completely turns things upside down, for in saying God foresaw certain sinners would believe in Christ, and that because of this, He predestinated them unto salvation, is the very reverse of the truth. Scripture affirms that God, in His high sovereignty, singled out certain ones to be recipients of His distinguishing favours (Acts 13:48), and therefore He determined to bestow upon them the gift of faith. False theology makes God’s foreknowledge of our believing the cause of His election to salvation; whereas, God’s election is the cause, and our believing in Christ is the effect. There are those today who are misusing this very truth in order to discredit and deny the absolute sovereignty of God in the salvation of sinners, just as higher critics are repudiating the divine inspiration of the Scriptures; evolutionists, the work of God in creation; so some pseudo Bible teachers are perverting His foreknowledge in order to set aside His unconditional election unto eternal life. I will praise thee, O Lord, with my whole heart; I will shew forth all thy marvellous works. I will be glad and rejoice in thee: I will sing praise to thy name, O thou most High. When mine enemies are turned back, they shall fall and perish at thy presence. For thou hast maintained my right and my cause; thou satest in the throne judging right. Thou hast rebuked the heathen, thou hast destroyed the wicked, thou hast put out their name for ever and ever. O thou enemy, destructions are come to a perpetual end: and thou hast destroyed cities; their memorial is perished with them. But the Lord shall endure for ever: he hath prepared his throne for judgment. And he shall judge the world in righteousness, he shall minister judgment to the people in uprightness. The Lord also will be a refuge for the oppressed, a refuge in times of trouble. And they that know thy name will put their trust in thee: for thou, Lord, hast not forsaken them that seek thee. Five scholars of Lausanne, devoted to the Reformation, were taken in France, A.D. 1553, and burned in the Place des Terreaux at Lyons. As they were being carried to execution, they sang with a loud voice this psalm, ‘De tout mon coeur, t’exalterai, Seigneur!’ …I will praise thee, 0 Lord, with my whole heart. . . . When he makes inquisition for blood, he remembers them: he forgets not the cry of the humble.’ –taken from Psalm 9. At this time, by a decree of Pope Paul IV., began that reign of terror, under the treacherous and cruel guises, which lasted nearly till a different terror, its daughter and Nemesis, took its place. So it was with the early martyrs, who constantly went to the stake singing. Yes, such was the joy of heart in those days, that a chronicler describes the young virgins as going more gaily to execution than they would have done to their nuptials. Such was the enthusiastic strength the new life gave them, that we read of a peasant who met some prisoners on the way to execution, and asked the reason of their sentence. He was told they were heretics; and he at once claimed a place by their side, got into the cart, and went to die with his brethren. To overflow with joy in affliction, to make the prison, and the scaffold jubilant with songs of praise — what better proof can we have that the kingdom of God had come nigh, that at this moment France was entering into a new life? The martyrs of the primitive Church could not have triumphed over death with more exulting faith than some of these early confessors for the cause of Reform in France. Nothing is more beautiful in martyrology than the story of the five scholars of Lausanne, burnt at Lyons on the 16th of May, 1553. Martial Alba, Pierre Naviheres, Bernard Seguin, Charles Favre, Pierre Escrivain, — these were the names of the young brothers so blessed and honored in their exodus from this world of sin and suffering. 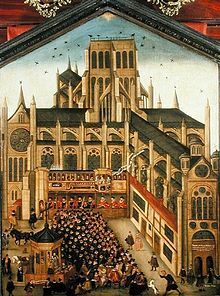 They had returned, towards the end of April, 1552, into France, in order to begin their work as ministers of the Gospel. Betrayed and denounced almost as soon as they entered France, they were arrested at Lyons and thrown into prison. Here they lay for more than a year, notwithstanding the untiring efforts of sympathetic friends. In these dungeons — and what dungeons only those who have descended into such places as the oubliettes still to be seen under the pontifical palace at Avignon can form any idea — in these dungeons joy lit up their hearts, to think that the world counted them accursed, while God had chosen them to maintain the cause of Jesus Christ. But nothing we can say will equal the touching story of their last hours as told by the chronicler. afternoon. These five martyrs betook themselves first to praying to God with great ardor and vehemence of spirit, marvelous to those who beheld them; some prostrating themselves on the ground, others looking upward; and then they commenced to rejoice in the Lord and to sing psalms. And as two o’clock drew nigh, they were led out of the said place clothed in their grey dresses and tied with cords exhorting one another to maintain constancy, since the end of their course was at the stake close at hand, and that the victory there was quite certain. –Taken from,“The reformation in France, from the dawn of reform to the revocation of the Edict of Nantes”, Translated and Written by Richard Heath, 1886, from an old print in the British Museum. Beginning devotional thoughts taken from, THE PSALMS IN HISTORY AND BIOGRAPHY. Written by the Rev. John Ker, D.D.